Nikon's introduction of the D3300 at this year's CES didn't shake up the industry, but it was still a noteworthy launch. The entry-level 3000 series have been popular with consumers looking to making a first step into more advanced photography, and the 24 megapixel D3300 is the latest generation in that popular line. With 1080/60p HD video capture, 5 fps burst shooting and 700-shot battery life it provides a beginner with some very useful tools to experiment with. Is it a clear winner in the entry-level class? Just bought one of these used. Nice little camera with all the things that matter to me inside. I think a great camera overlooked by all the mirrorless stuff out there and just what is new. I saw a couple shopping for their daughter a new camera and the salesman said the D3400/3300 would be great. I nodded my head in total agreement when they looked at me. D3300 are very good bargains now. I love this little camera. Use as back up for my D7200. Can't beat this one for the money. graphic display for ISO range noise comparison is NOT available ..am I missing something here?? I have to concur with NewsView's comments. I bought one of these with the 18-140mm lens, camera bag, and remote in a package that cost not much more than the lens itself would have cost. I bought it because the reviews were universally favourable. I have to admit that having gotten used to very compact point and shoots, I was a bit overwhelmed by the size and weight of the camera with such a large proboscis of a lens. There were multiple minor issues I had with the camera, most of which I could live with. I found that the images were underexposed by about 1/3 EV, which could be corrected in P mode, but Auto mode was effectively unusable because of this. The big issue came with the colors, especially indoors in low light. Setting the camera to Tungsten did not solve the problem of the yellow/orange cast. I had to use the pre-set manual to get a decent image. It took twelve test shots before I got it right. I also got the yellow/orange cast NewsView described. i having Nikon d3300 for last 4 or 5 months, it is very good camera and i am using 18-55 vrII kit lens with it. But now i want to upgrade my lens. i am looking for zoom or telephoto lense. please suggest me best value for money lenses for my Nikon d3300. Depends greatly on what you want to do. The 18-200VR is a great do-all lens at the cost of slightly decreased sharpness when compared to primes or high-quality zooms (this is natural, don't be discouraged. It's still a great lens). If you're looking for more range and don't mind switching lenses, go for something like the 55-300VR (or the more expensive 70-300VR if you plan to eventually move to full frame). There is also an 18-300VR option that covers all the bases, but it's a big, heavy, and expensive piece of equipment. If you clarified what you want to do with this lens I could make better suggestions. I find no problem using the D3300, trips to menu nothing to it! 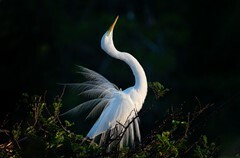 I've been using my D700 and D2Hs and D2x, bodies and i feel I adapted to the light and quick D3300 with no interruptions. The single command dial poses no problems at all I see no difference using this camera and spending time with my D2X, its just bulkier and heavier. I've decided I prefer the smaller and lighter camera body over the bulkier FX, I'll sell my D700 and the FX lenses and stay DX. This little D3300 along with my 35 1.8 Dx, and 18 140 pretty much covers all I need to enjoy photography. Besides its all about ego? isn't it? I need??? I am thinking a D5500 could work just as well and it does offer the "floppy doodle" LCD. Besides, i can save much dollars over the bulky cameras. If anyone's got problems with screen not turning off when using lenses longer than 55mm, the 1.01 update fixes the issue. I bought one of these recently, with the 18-55 and the 55-200, primarily due to price, as there are steep discounts right now. I considered the Canon SL1 and the Pentax K-50, but seemed to get a bit more with the Nikon, at the current pricing. At full price, not so much. All budget cameras sacrifice, and the things I miss most on this are exposure bracketing, ISO control on the body, and depth of field preview. 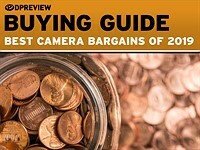 Everything else is pretty amazing for a camera in this price range. But anyone considering this should also look at Canon and Pentax and maybe others, IMHO. If you are new to cameras, you really won't know what your desires are until you live with one for a while. So just pick one and start shooting! They are all good. I've had my D3300 for about 3 months now, I've been an active hobbist for over 25 years and health issues are making me downsize. I selected the d3300 for size and weight and of course price. Is it perfect? NO! far from it but what little short comings I can live with. I find the IQ, very good, and camera functions fine, although I'm not used to spending this much time in the menu, compared to my D700 or D2X, but I'll live. I had a canon SL1 but never could conquer the menu, so sold it and stayed with Nikon, I just love using this little gem! and the 18 55 is okay for now, will look for a better choice later. Looking at 18 140? 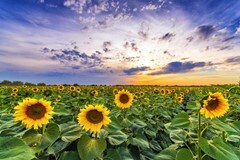 Try the 18-200 instead of 18-140. I've had both and now use the 18-200 as an everyday lens. The extra zoom length is well worth the cost. Try e-bay for a deal, that's what I did. There is no way to shut off the info screen when using lenses longer than the 18-55mm kit. If it's repeatable, have your camera checked out. (Or exchange it.) I have encountered unexplained optical phenomena only once in a year's worth of use. I shot many photos on my D3300 in October last year that were hand-held at 200mm zoom into trees (with birds I was trying to photograph). I was in a forest area on a very bright, sunny day and in the background of my image of a bird sitting in a pine tree it looks as if smoke is rising behind the tree (not overlaying the branches but behind them). It's confined to a long, vertical area (like a smoke signal). In the next picture, also shot into that same tree, there is nothing but blue sky in that same location (between the branches). However, in another picture of the same tree/subject there is a misty white haze in the foreground (this time in front of the branches, like steam from a hot shower). I was concerned that the camera had a defect but so far I haven't seen a repeat of either phenomena, and that was nearly a year ago. You might consider a Pentax K-50 because it has 100% pentaprism viewfinder. Or maybe because it has features in the next class up, is fully weather sealed and is cheaper! d3300 on my D40x without damaging either? The zoom lens has a nicer picture than the 18-55. Maybe my imagination. I 'm new to the world of photography and I want to buy a new camera. I am deciding between two cameras for beginners the nikon D3200 or D3300, they both are at the same price, the difference is that the D3200 comes with two lenses (a 55-200 mm) and the nikon D3300 only with 18-55 mm, which one should I buy? I need some help to decide..
Just ordered my D3300 with 35mm f/1.8 DX as everyday travel camera. Had the D3100 before: while my D800 and D600 are the perfect tools for specific projects and events, the D3xxx is the one I just throw into my office rucksack every day, sometimes just by itself, sometimes in combination with the little BeeFree-tripod and pano-head. The D3xxx never let me down: with its light weight and robust construction it takes more abuse than most so called semipro bodies. Best value for money you can buy! I agree! The D3XXX line are excellent snapshot and travel cameras. They take superb photos and you're not out a lot of money if something happens to it. And feature-wise they're a much better value than mid-range compacts. It's annoying that reviewers insist on assigning users to a camera. 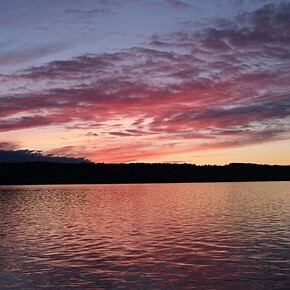 The D3300 is much more than just a beginner's camera. maybe you guys can help me.. 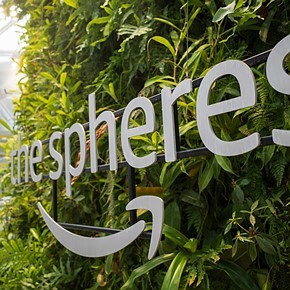 Hear, hear about assigning users to cameras. If you're good enough, the D3300 will be more than good enough. The only thing I am not being able to learn is how to use the zoom to get far away shots of my birds like the old cannon I am used to with the pull lever.. any ideas on this one appreciated. ( I mean get far away things up close and personal) Am I needing a special lens for this one? 2. Turn the large ring on the zoom. No lever on DSLRs. 3. Get a longer lens. Standard zoom is not long enough for birds, you will need the 55-300 or similar. I don't know if I got a faulty kit lens (55-200mm) but I have the same problem. I have been unable to obtain focused zoom images of birds with this camera, no mater the AF mode. Center weight is best but I should be able to track a MOVING bird. At distance with too many competing AF targets (branches/leaves) — even with excellent light — images lack focus or appear to have shallow depth of field. My research reveals one possible culprit. The D3300 has only one cross-linked AF point, whereas the F3.5 maximum kit lens aperture doesn't allow that cross-lined AF point to operate (requires a brighter/faster lens apparently). The review for this camera briefly mentions that this isn't the best DSLR for sports enthusiasts. Well, that also applies to birders too. Without a tripod and a fixed-in-place taxidermy bird this camera (or kit zoom lens) is not up to the task. A faster shutter only goes so far. Can anyone recommend a good inexpensive (under $100) stereo mic to use with the D3300? Or have you found the internal mic is "good enough"? I’m most interested in the video capabilities of this camera. This site provided the first downloadable raw sample i have seen so far. I see no bad focus on the video, at 100% zoom (cars passing in london, passing under a bridge). The quality of the video is also fine, given it’s 50p. I would rather see a 24fps sample, since it would have much less compression, and that’s what 90% of the people use 90% of the time. 50p is just a low quality feature in case slow-motion is needed. I realize that this came about 7 months ago. I was once a full blown Nikon supporter use Nikon. As it was stated earlier the Nikon quality has gone down to pot. I bought the all mighty d7100 after a year....one year there are now oil spots on the sensor. Spots that I can not afford to pay to remove .It will cost me up to 400.00 to fix the problem because no longer under warranty. I will no longer recommend a Nikon to anyone!! Better going with the Canon. There are two cameras as soon as I can afford one of the 2 . One Fuji x10-1 And the a6000. The nay Sayers will get on their soap boxes. But ask why are most of the pros going to these cameras? not the ones that hold workshops to make money but the real pros out making taking real photos. Not the armchair expert wanabes. Enough Never ever buy a Nikon! I cant even trade for a different ca,mera! Yet another person with one comment making up a problem with a camera he claims to own. I don't believe he even has a D7100, let alone been quoted 400 (anythings?) to clean the sensor. My guess would be Rupees. Scattered through every thread on this site are these names which just appear for one or two posts, make up some story about how they bought a Nikon/Canon/Pentax something and it killed their dog and burnt the house down. Most sensible realise the true value of these posts is precisely nothing. Another class of photographer for whom this camera might be a very good value, is the older person looking for an easy carry, and minimalist quality imaging. I've yet to take an image that can't give everything I want through a few steps in raw processing. And I'm using the scene and Auto modes almost exclusively for family and travel. The older generation digital cameras I sold off to pay for the D3300 kit and second lens, were much more fiddly. Nice review, i realy love Nikon D3300, D3XXX is a very successful series from Nikon, easy to use while provide great image quality. Can you please tell me how you know the bitrate of video recording , i can not find it anywhere in camera manual or nikon website? If you can buy a $600 camera that delivers images only a pro can tell the difference from a $3,000 camera why not Then in two years when the next Nikon problem surfaces instead of being out thousands of dollars you throw away the $600 one We paid $1350 for a D70 Three years later card reader error rendering camera useless. Years later find out this was common to every D7O and Nikon would not stand behind. D600 people pay thousands for and find oil spots on lens causing picture anomalies. Buy a D800e might as well place 3k on the back porch and burn it, get it over with instead of waiting for the camera to fail just when you need it most and Nikon do nothing. So the idea of a low priced Camera delivering Nikon quality shots at a price you can just throw them in the garbage every couple years aligns better with Nikon's inability to deliver reliable performance and stand behind their known issues. Nikon should sell just the body and maybe even in a three pack in a dixie cup dispenser? Nikon D3300 or Canon 100D(SL1) ? In my country the 100D is about $70 cheaper. In terms of image quality and video what's the better one? My comments apply to both the D3300 and D3200. Nikon USA is, I think, underrating these cameras by marketing them as "entry level" only and refusing to sell them without kit lenses. I started in serious photography in 1955 and have been satisfied with the feature set of the D3100, but wanted the higher resolution and ISO levels now available. I shoot RAW with a specified ISO and don't care about jpeg in camera processing. I have 2 "CPU" lenses which replace the kit lens, as well as 4 excellent older prime lenses which can take advantage of a higher resolution sensor. 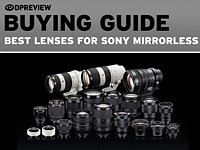 Why on earth would I want to pay for another lens I don't use. Nikon sells these cameras abroad with a body only option. Why not here? I just bought a refurbished D3200 body to bypass this problem. Had a new D3300 body with a USA warranty been available I might have gone for it. Good observations. Anyone care to comment? As a recent D3300 owner, this camera would appear to have a mind of its own. 2) In my own tests, ISO 400 images will instead be shot at 3200 and so on --- even when the camera is NOT in a default auto ISO setting. Consequently, I have begun to question if my D3300 is defective? 3) The sample images in this review contain very little in the way of architecture. My fist trip out with this camera did, and the "modest" distortion at wide angle using the kit lens seemed rather severe to me, in spite of distortion control enabled. Toggling the Distortion Control on vs. off is of no apparent benefit. 4) My D3300 seems to struggle in conditions where my P&S Nikon L610 doesn't. In low indoor light colors that should be teal green are royal blue. Outdoors, reds/yellows are exaggerated. Attempts to set a manual white balance indoors produced severe magenta or blue casts whereas I had no issues setting manual white balance with my old DSLR. 5) Default JPEG color is too punchy/contrasty, requiring Gamma Correction in Photoshop. Subjects shot outdoors under shadow have a bluish or magenta cast, while under bright sun there is a pronounced orange/yellow cast, which dulls the blue of the sky, makes foliage look brown and fair skin-tones look Sunkist Orange. 6) When I run auto levels and auto color under Photoshop, PS wants to shift JPEG images captured under direct sun to a drastic Cyan or Yellow. I'd like the option to go from "Standard" to "Neutral" color capture but those choices are locked out of most of the scene/auto modes, available only in the PSAM settings. Looking for input… From the sound of things, do I just need to spend more time learning the ins-and-outs of the D3300 or does it appear to have "issues" above and beyond the fact that it is new to me? My previous DSLR was an Olympus E-300; it's been awhile since I've ventured into the DSLR market. Hence, I'm wondering how much of this is an acclimation issue vs. camera malfunction? For the ISO changing even when you set the ISO this is probably due to "Auto ISO" in the menu being on. It drove me up the wall on my D40 shooting in full manual mode and the camera was still overriding what I set by changing the iso. Setting this to off in the menu fixed it. Thank you for the info. Very helpful! I was considering buying a Nikon D3300. 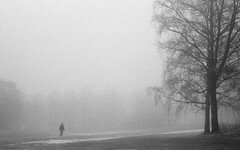 My background is very much an enthusiast photographer, coming from the film days. 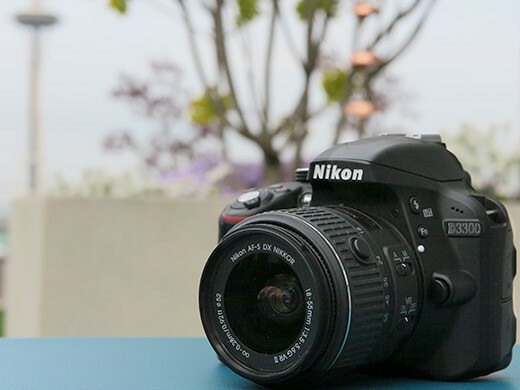 Nikon D3300: looks good, the 24mp is of course attractive, but the menu driven system mostly is a put-off for me (I would have liked some more physical controls). The 95% viewfinder coverage is also not good and the so many auto settings not good for me either. You need to question whether you really need the 24mp (I personally do not print large photos and do not either crop a lot). I went the extra mile of adding £200 to my budget and ordered the Nikon D7000 with 18-105 lens. With 16mp (enough for my needs), 100% viewfinder coverage, good AF, LCD screen on the top, tilting 3in screen, weather-proof body, and good build quality (still quite far of my Nikon FM3a though) I am happy. I had the D7000 with 18-105 and liked it very much. I tried the 18-200 for extra reach but preferred the 18-105 as lighter and provided good enough photos for me. I.m sure you've found out by now, D7000 has a fixed screen, not tilting. Kostis, The D33/53 series bodies are marketed at those who don't use/need the settings you want to access easily. You made a wise choice with the D7000, and would have been fine with the D7100 as well. Does it really cost hundred$ of dollar$ to add a tilting screen and to unblock bracketing in it's internal software? This is why I no longer buy Nikon. You KNOW the D5300 could sell for the price of a D3300, because they have identical production costs, but you can't have it for that price. Pay a couple hundred extra if you want the $1 in extra hardware and the unlocking of the software. Not to mention WiFI and GPS build in, its much more convenient. How is that different than what you see from any number of companies? Everyone does that sort of thing from computer to camera to car companies. Buy a Leica T and get your moneys worth. Seriously, why complain about some of the best perfomance/money compromise you could buy? I am thinking of getting a D3300 or an even cheaper D3200, as a complement to my serious DSLR, and pair it with some of my better lenses, like 70-200 VR which will produce some serious IQ that will rival anything on the market short of FF. usually (even with the others) you get more resolution, or a better or bigger sensor, faster engine (processing), better stuff like that... not just an extra HINGE and not having some lines of code left out! that is just an insult! @Kryz... ok, d5200 vs d3200 then. I don't care for wifi or gps anyways. I have wifi in my nx20 and never use it. and I'm seeing news reports that people are getting tracked online via their photos now, because of that gps feature. I can do without the gimmicks and invasion of privacy thank you. Yes, you do not have to have it on for all the pictures taken. With each generation, the entry level dSLR becomes harder and harder to recommend to people just looking for a casual camera with good image quality. Once it was a no-brainer: "Yeah, get a D40. Sure, the D60. The D3000, definitely." Today... no. I wouldn't. I can't even in all honesty imagine what kind of person I would recommend the D3300, or even its discounted predecessor, the D3200, to. Agree, casual camera users would not be best surved by this. Mirrorless would make most people happy. But people very rarely look to logic. "Does it even have the right to exist next to mirrorless?" Please, this gadget fetischism is going to far. I bet ten rolls of Ilford that it focuses faster and the battery lasts longer than any mirrorless. Cheaper than most too. A mirror is a feature. it's also larger you don't see what your doing through the viewfinder. the viewfinder is smaller and dim in this case. It has less features as the em-10 less direct controls. 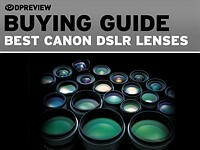 The d3300 does have cheaper good primes and other lenses. 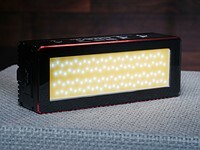 Also a better larger sensor. It's a solid choice just like the mirrorless em-10. choice is good. 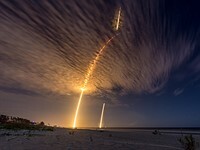 I would not go that far, its only a new camera. Haha when you work at a Camera Store and you leave your DPreview logged in on your day off. Your coworkers WILL mess with your account and make comments on articles. I'm keeping the dog with the mustache display photo though. I think it's fantastic. And to You talkin' about incremental upates, the 3300 is a leap: New high resoulotion sensor (same as the 5300/7100), new processor, and new kit lens (good one). That's 3 outta 3 in my book. unfortunately, the new high resolution sensor further limits the apertures available before diffraction sets in. This is assmuing a diffraction limited system however, which is somewhat debatable. A lot of talks from people reading a review. I have the D3300, and with 2900 shots with three different lenses, I KNOW what the camera is like: Shooting only RAW, I get the pictures I want, and even underexosure of 2 EV I can get almost fully recovered pictures(!). Easy handling, fast operations, amazing battery life, all the buttons I want/need, lightweight, no wi-fi/gps (thanks! I hate it, drains battery & adds weight). I am actually stunned by the quality of the images. At ISO 6400, using a 50mm 1.8 in very low light, the output is fantastic. Compared to 5D Mark II, the IQ up to ISO 800 is on pair. And don't argue, if You don't have the experience with theese cameras - I do. 'Nuf said! Or pair it with a Nikon 35 1.8G DX and get some of the most outstanding value/performance ratios on the market. And light weight and compactness. I wish I could like that reply more. Too bad that there is no 23mm f1.8 DX. High IQ doesn't satisfy me. I would never buy such a camera because I am a status obsessed snob and spec loving geek. and shooting with cigar between the fingers,by then I should hire a pro photographer or i just clowning around? I really hope that you can turn the screen off on this model. I look at my images when I get home. Dont want that screen glowing like a torch in the night when trying to be discreet. USB2? No WiFi? No GPS? They still don't understand their competition and market. Nikon understands product differentiation. You don't put every available feature in your bottom-of-the-line DSLR. People who are used to these features on their phones are likely to want them on an entry level DSLR. what, no HTML 5 web browser? how can they sell this thing? Not to mention no kitchen sink. I mean what is Nikon thinking!? They're sure to be bankrupt in a week. You get better battery life without the GPS. To me, the GPS and the WiFi aren't critical, maybe even detrimental. I recently purchased the D3300 and it focuses fast and takes great photos. You don't have to keep Live View on (saves battery to use the view finder). I obtained ~650 photos on the first charge. I wasn't planning on buying this model until I saw it side-by-side with the competition in a display. The D3300 is a standout in terms of form factor/handling — not just the body but with respect to lenses, too. The D3300 is among the lightest and most compact DSLR out there. The D3300, compared to Canon's compact DSLR, has an improved lens design that makes the overall size smaller (with newly designed kit lens, that is). While the size/weight of this camera may be of little consequence to some, that was a deciding factor for me because I have issues with pinched nerves in the spine and don't need any unnecessary bulk/weight in a camera. what? no hologram projections? No quantum teleportation? 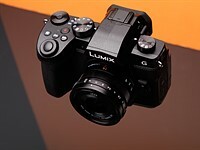 I like the comment..."Though a little long in the tooth, the Panasonic Lumix GF6"
This camera only came out last year ( about September? ) and its already being classed as long in the tooth. You can see why manufacturers keep updating their line ups for no apparent reason when you get reviews like this. The " I must have the latest gear" brigade must be throwing out their G6s in droves because its a bit long in the tooth after reading this. Dear life....whats the world coming to?? What is wrong with the lighting in the test scene? It is uneven with edge of scene reflections in the flash lit set and the left lamp/s seems to be off in the tungsten lit set! This is hopeless for any decent evaluations! I don't even read most of these reviews anymore. Blimey, talk about dry reading.Even the conclusion page is (yawn) boring. Weren't DPR going to shake things up in their reviews, what, last year? So few comments. Guess the thrill is lost with the entry level dSLR. These cameras don't need to be exciting, they just sell anyway. 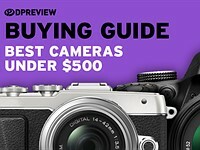 Entry- and mid-level DSLRs from Canon and Nikon are by far the bestsellers in the system camera market, but they rarely stir up any excitement in internet forums. The target users for these cameras generally don't care about the same things as enthusiasts and gearheads do. Since the 1100d sold so well my best guess is that these people only care about the name of the badge. Is it also crippled like the rest of the D3xxx series when it comes to remote useage? Is it missing auto bracket options like the D3200? It works with the IR shutter release, but does not support off camera flash natively. 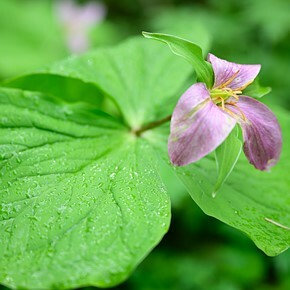 The D40~3300 line has never had bracketing. Of the two, not having wireless commander is by far the more significant omission, though perfectly justifiable in terms of product segmentation. Richard, the D40 had several kinds of bracketing including white balance. Mine did anyway. What an interesting camera , Nikon has raised the bar for entry level SLR`s. Its amazing how much cameras have come in a few years ! Very true cameras have come a long way in the last few years. Olympus, Fuji, Panasonic and Sony are really innovating. Oh look, another Canikon product increment. More megapixels you say? How nice. Oh, you've switched back on a feature you crippled to artificially create a distinction in your product line. Did anyone force you to click the article link? Excellent review, Allison. Undoubtedly a fine camera. But where Nikon loses me is in the way products are crippled. As you pay more, sure, better viewfinder coverage, brighter viewfinder, faster AF, more AF points, better weathersealing, etc. but there is no reason this model shouldn't have the full Adaptive Lighting implementation. Back to Pentax for me should I buy a new DSLR. 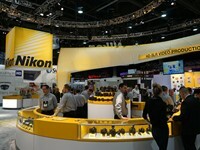 Nikon removes some features for reasons of cost, obviously, and others for reasons of simplification. There was a setting on my old D200 for changing the diameter of the CW metering circle. I mean - do you really think that feature belongs on an entry level dSLR, even it was a simple firmware edit to enable it? Nikon fine tunes the settings to match the level of what it thinks the user needs. (not what will most excite dpreview readers) So Adaptive Lighting in JPEG mode is off/auto. 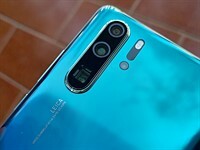 Most people who buy the camera will be happy with that - the review suggests it works well - and the full setting are available under ViewNX2 if you need to adjust them later anyway. "But if it's a DSLR-shaped thing that you need..."
Traduction: If you want to waste 600usd, don´t know what you want as a camera except that is something to hang on you neck to convince yourself and other fools you know photography, run to this cr6p. If you it´s not your case, runaway from this cr6p. Clearly you are smoking something phenomenal. Yeah this blows the Pentax 645z and the 645d away. I guess he is living 100km north from me in Amsterdam. 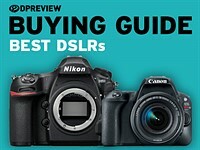 These entry level DSLR's from Nikon are cracking good value and great cameras. As an experienced photographer I actually prefer the entry level set up with less buttons, knobs and tweaking options. I enjoy the challenge of just using a simple yet effective camera. I don't see this as being a worthwhile upgrade from my D3200 - I wonder why Nikon just make small incremental changes instead of big leaps? 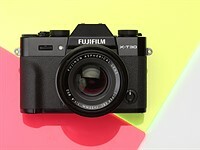 Its still a nice camera for someone who does not want complication or who is on a limited budget. "I wonder why Nikon just make small incremental changes instead of big leaps?" I disagree... I think they figure this is it for a beginner, or you are going to use it until you realize what is missing and step up to a higher series camera, not the same camera with a thing or two slightly improved. More likely to step to the D7xxx series to get the lens drive motor so you can use something like the 50mm F/1.4 or 1.8 AF-D , to get auto bracketing and HDR settings, to get real time lapse control without needing a remote, and the ability to fully control the camera remotely. So I see the jump from this being to the D7xxx bodies or the D8xx. 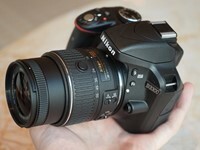 For someone that is buying their first DSLR, that 24Mp and the Nikon name are the big things in it's favor. I suspect most buyers have no clue what lens would best suit them and will be happy or blame themselves for what the 18-55mm kit lens provides. It's make me wounder how can Adrian Sommelling say he use D3100 for his shots, and travel the globe to give master class on photography, Behind the Lens University ?